We are a large University Hospital and have established a Knee Fellowship,with salary. I think we could participate. In our clinic we have about 360 orthopedic beds, among them 1 department (60 beds) concentrated entirely on knee problems. We'd like to have more information about your project, can send you desirable information about us. 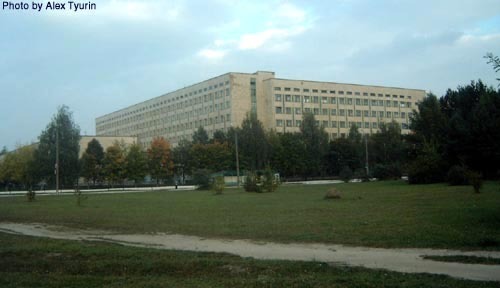 Belarus Scientific and researh institute for traumatology and orthopedics. Интересно было бы узнать у Кристофера ,каким образом их университет решает вопросы регистрации в GMC для иностранных стажеров из * развивающихся* стран или под эту программу они договариваются со своим мед.советом об ограниченной временной регистрации? Будь добр, не сочти за труд, расспроси Криса о деталях процедуры. Женя, я и по-русски слова-то не все понимаю, которые ты спрашиваешь, так что pls спроси прямо тут по-английски про это все, он и ответит. should be registered with GMC and the registration number is granted only in case if definite post offer is submitted to Council after successful PLAB examinations. Will you e-mail to forum the detailed description of application procedure for potential candidates. I do wish to inquire further information on the issue of fellowship because i am interested and have been coming to the UK for such an opporturnity. I am presently in the Donetsk institute of and development of traumatology and orthopeadics, Ukraine. Thank you for your invitation, interesting information.I live and wark in Soligorsk in Belarus. I work in orthopedic trauma unit. Please send some information about possibility of the period of trial in your hoshutal.